Ask the Fosters: Should I adopt my foster dog? "Dear Fellow Fosters: I am currently fostering a pup (Pit Bull mix) and having trouble deciding whether or not to adopt her. She has amazing potential adopters with a yard, though. I would love to keep her; I just want to make the best decision for her. I am a law student in the city. I live walking distance from school and am able to be with her for most of the day, every day. Right now, I don’t leave her for more than two hours at a time because she is still crate training. She is very mellow and usually sleeps the entire time that I am home. TARA SAYS: “First of all, thank you for being a foster caretaker – you rock for being such a giving and loving person who is willing to open up your home to a pup in need! Many, many fosters (including myself) have gone through the agony of ‘to keep or not to keep,’ especially when there is a special bond between pup and person. When the pup has a potential adopter(s) who seem awesome, this dilemma can even be harder. Now I can’t tell you whether or not to keep the pup, but I can tell you to make sure that you think through all of the particularities of owning a dog forever. Aside from the time issue which you’ve mentioned, the financial side is something to thoughtfully consider. It can be a lot! From monthly worm/flea & tick preventatives and food/treats, to monthly pet healthcare (if you go that route) and other dog essentials, to those inevitable (and sometimes costly) dog heath issues or medical emergencies, there are many costs in owning a dog that, until I adopted myself, wasn’t fully aware even existed. There’s also the issue of a support system – do you have a support system in place to help you take care of the pup when need be (family, significant other, reliable/dog-friendly friends)? This isn’t just during vacations or weekend trips, but thinking through unforeseen circumstances like health matters or job obligations; it’s also just day-to-day: people to emotionally and physically support you during the everyday stresses of owning a dog. It’s important to have a reliable, meaningful support system in your life in general, but this need is heightened when having a dog. I’ve read/heard that you should hire a dog walker if you are going to leave a pup alone consistently for more than 5-6 hours a day. The time issue with dogs also involves the time you spend with your pup – consistent exercise, playtime with other dogs, quality time with the pup, etc… You also need to consider whether you will be able to work through possible behavioral issues. Dogs go through a number of different developmental stages, and with those stages can sometimes come hiccups. Will you be able to work through these issues – be it spending one-on-one time training, hiring a trainer, or other avenues people take when addressing a behavioral issue with their pups? Emily and her now-adopted pup Ramona! 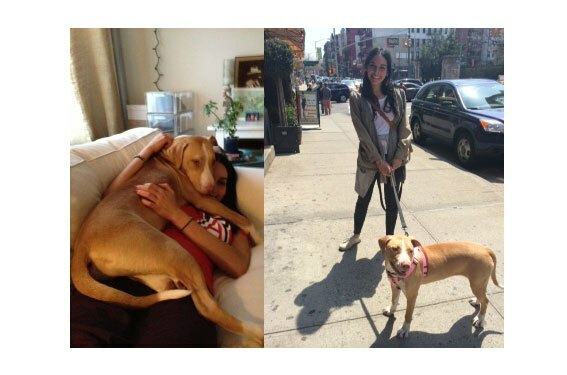 “An update for all my advisors: I couldn’t bear it… I adopted her!” Now named Ramona, this Pit mix is one lucky pup! 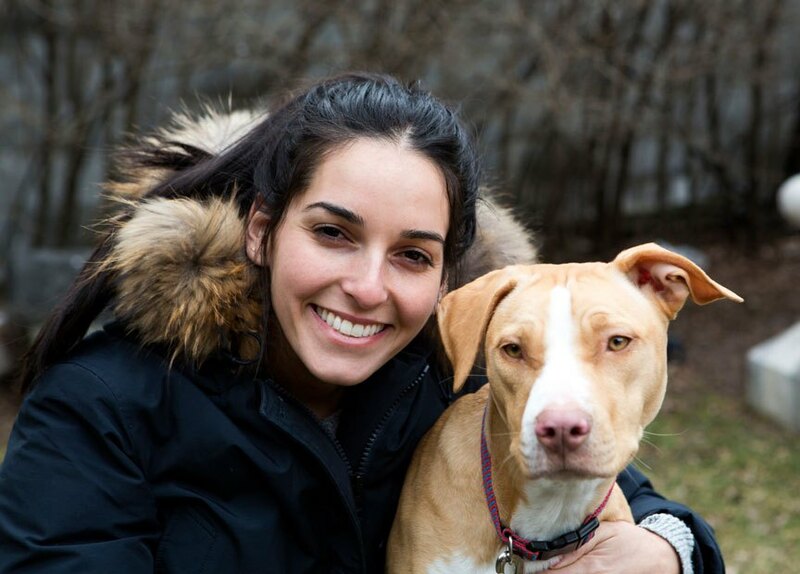 Three years after Emily fostered and adopted Ramona, she and her boyfriend Scott were married in New York City, and encouraged all their friends and family to donate to Foster Dogs in their honor. This rescue tale is one for the history books, and we couldn't be happier for this family!